Please Note that this is SPECIAL APPLICATION for VA REPRESENTATVIE GROUP, if YOU ARE NOT one of the VA REPRESENTATIVES, please go to the regualr group application. 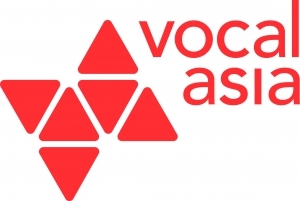 On the subject of Asian contemporary vocal music, Vocal Asia Festival (VAF) is one of the biggest A Cappella music festivals around the world, including competition, workshops, master classes, forums, open stages and concerts. To exhibit the diversity of Asian music, VAF sets itself as a "moving festival" , traveling between different cities around Asia. VAF was held in Taipei (Taiwan), Shenzhen (China), Taoyuan (Taiwan), Gwangju (Korea), Shanghai(China), Taitung(Taiwan) Hong Kong, and Hsinchu (Taiwan) from 2011 to 2018. This year, the festival will be held in Kagawa, Japan from August 9 to August 12, will also participate in the Setouchi Trinnael 2019. VAF brings singers around Asia together to express and exchange their own specific culture and music experience, and learn from not only the master groups and instructors but also from each other. ★ This application is for VA Representative GROUP applicant. For individual application, please click HERE. ★ Limited numbers of the pass are available, first come first serve! ★ Accomodatoin and dining are NOT included in the registration fee. * Please noted that all fee listed above are for “Festival Pass” and “Coaching Session” only, Travel and Accommodation are not included. -- 請選擇 --Yes. we'd love to!No. maybe next time.Um.....we would like to know more about it before signing up. -- 請選擇 --Yes. we want to know everything about it!No. thanks!